With splendid experience in leadership training profession and keen strategic vision, Dr Chris Lam has remarkable enthusiasm and dedication to the development of top quality leaders and enterprises in the Greater China. Dr. Chris Lam graduated from the Victoria University, Switzerland with Doctorate in Business Administration (DBA) and Undergraduate Diploma in Coaching in the University of Cambridge. He is member of various international professional bodies, including the International Coach Federation (ICF), the Association for Coaching U.K. (MAC), the Transformational Leadership Council (TLC) and Professional Advisory Member of the Vocational Education Research Institute of the China Education Bureau - Senior Professor Association. Chris is currently the President & CEO of InVision Group, Chief Operating Officer of Asia Coaching and Mentoring Academy (ACMA) and Chief Executive Officer of Emergenetics International – Greater China. Chris established the InVision Group in 2003. 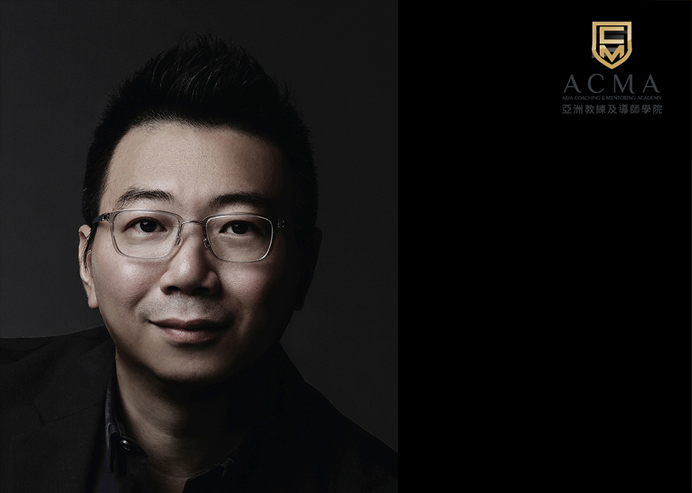 As the founder, President and CEO of the InVision Group, his enthusiasm and dedication to the development of top quality leaders and enterprises in the Greater China are truly outstanding. The InVision Group has been flourishing with Chris at the helm. The Group has 7 centres in the Greater China, including headquarter in Hong Kong and Training Centres in Macau, Taiwan and various cities in Mainland China. It is proven that InVision is the pioneer in the provision of training resources for success of individuals and enterprises in the Greater China. Chris has over 20 years of extensive leadership training and performance development experience in the Greater China and Asia. He is a foremost Chinese Trainer in the industry. In the past 22 years, Chris has been enthusiastic and committed to training and development of educational activities. He had been appointed as Research Fellow by the Peking University. He has taught and trained over 100,000 students, many of them great leaders in their professions. Chris has also developed many outstanding trainers and facilitators in the industry through mentoring. The establishment of ACMA in 2013 signifies the persistence of Chris in the standard of coaching and uplifting the professionalism of coaching in Asia and globally. It is the anticipation of Chris that through the superior platform of ACMA, more high caliber committed leaders can gather and share together, contributing to the new vision of the enhancement of coaching skills and professionalism of coaching in Asia. This leads to a new milestone in professional coaching in Asia and the world. In 2014 Chris helms the development of Emergenetics by setting up Emergenetics International – Greater China. Emergenetics is about the understanding of the thinking and behavioural preferences of people. It is not only a simple tool understanding oneself and psychometric test for team building, Emergenetics can be applied in leadership development, creativity projects, communication, personal development and building trust. Emergenetics is a common language to create results and a simple way for mutual understanding of people. Chris not only values student performance, he has been learning for self-enhancement over the years, to enhance his professional skills and international perspectives. Apart from graduating from DBA in the Victoria University, Chris is a former Research Fellow of the Research Centre for Public Economic Management in the Peking University in China. In 2013, Chris travelled to the U.K. to pursue Undergraduate Diploma in Coaching in the University of Cambridge, the world’s most distinguished institution of higher learning. Fusing western management model and system with Chinese corporate culture and leadership management, Chris designs an education system in professional coaching with Chinese features. Further, as the most experienced Chinese Trainer in transformational leadership development with keen strategic vision, Chris has been invited to join in 2014 and become a member of the Transformational Leadership Council, where global leaders of personal and organizational transformation support each other in contribution to the world. Chris inspires and supports people in achieving dreams as a leader by example and in action. With the establishment of InVision Charity Foundation, Chris and InVision support Non-Governmental Organizations (NGO) and deliver social changes through leadership development and contribution to underprivileged people. These all see the extraordinary capacity of Chris in creation from ideas to implementation of his vision. Chris is open to share his vision with more leaders and take further step forward to achieve vision.